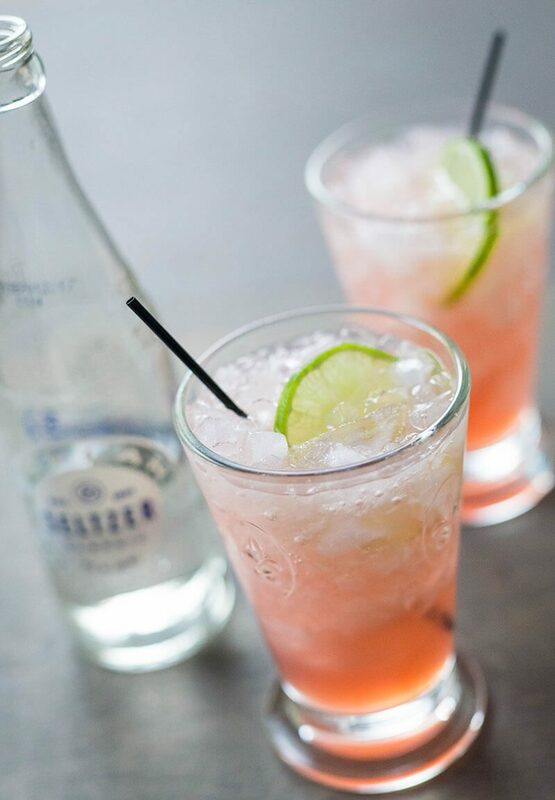 Sometimes after a hard day of work or a hot day outside, a refreshing gin and tonic is the perfect way to cool off. For the best gin and tonic, we really enjoy using St. George Spirits Botanivore gin, Citadelle, and Sipsmith gin. 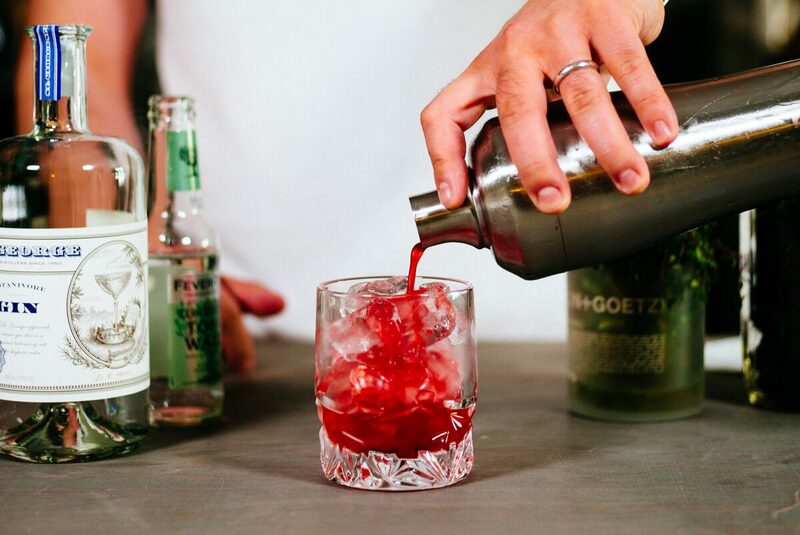 If you can’t find one of those, we would recommend using Tanqueray. To serve our gin and tonics, we prefer to use either classic double old-fashioned or wide red wine glasses. These glasses are are from Tiffany’s, but we also like these, these, these, and these. We find that if you have parties you can’t have too many glasses. Clayton’s aunt is from Scotland, and typically garnishes her gin and tonic with a slice of lemon, so we usually do the same. A twist we recently discovered is to garnish with a large strip of grapefruit peel (use our favorite peeler to get a wide strip of zest) and a few juniper berries. For cocktail hour, we like to use a silver snack tray that reminds us of the trays they used at some of our favorite hotels in Italy. We serve things like olives, nuts, snack mix, or olive oil potato chips. Find some great options here, here, and here. Fill a glass with ice and add 2 oz of gin. 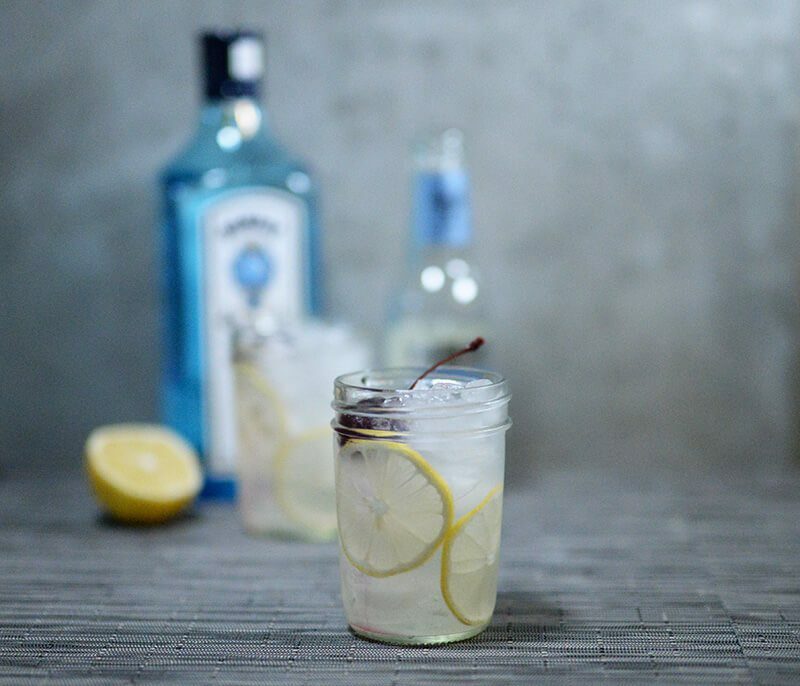 Garnish with a strip of grapefruit zest and juniper berries.